It seems like April the giraffe was in the news all spring. She finally gave birth to her calf after, what, six weeks of labor? Maybe it wasn’t that long, but it sure seemed like it! 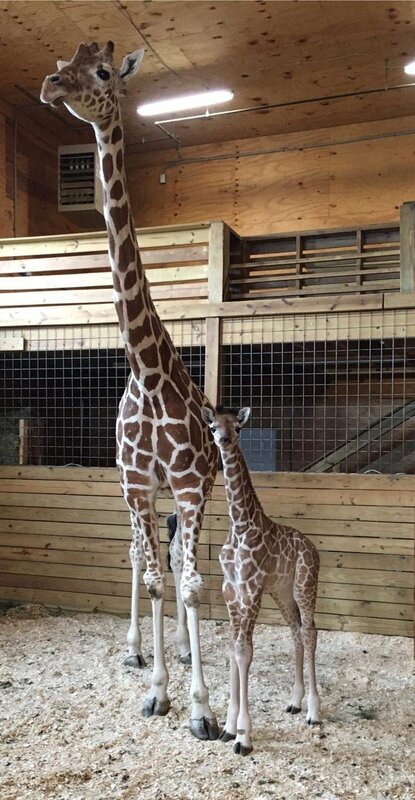 I think that baby giraffe’s birthday is April 11-16! The fall of mankind had a wide-ranging effect on all of creation. Sin not only made life more difficult for humans, the whole earth was subjected to frustration and decay. Storms, earthquakes and other natural disasters are just some of the ways that we see creation groaning. This won’t stop until Jesus returns and makes everything new. Paradise will then be restored. Meanwhile, the birth pains continue. This entry was posted in Christian Living, Current Events and tagged April the giraffe, birth pains, childbirth, creation groans, effect of sin, illustration, paradise restored, Romans 8. Bookmark the permalink.